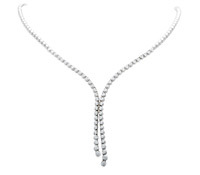 The consummate classic bracelet, this diamond tennis bracelet features white gold and 8 carats of stunning round diamonds – an ideal bridal jewelry set accent. 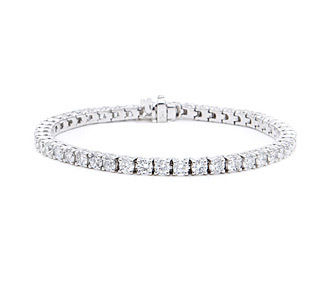 This diamond tennis bracelet bridal jewelry rental is sure to have all eyes on you! 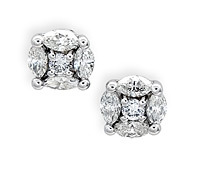 Diamonds: 8.00 TW | Gold: 18K White | Length: 7 in.